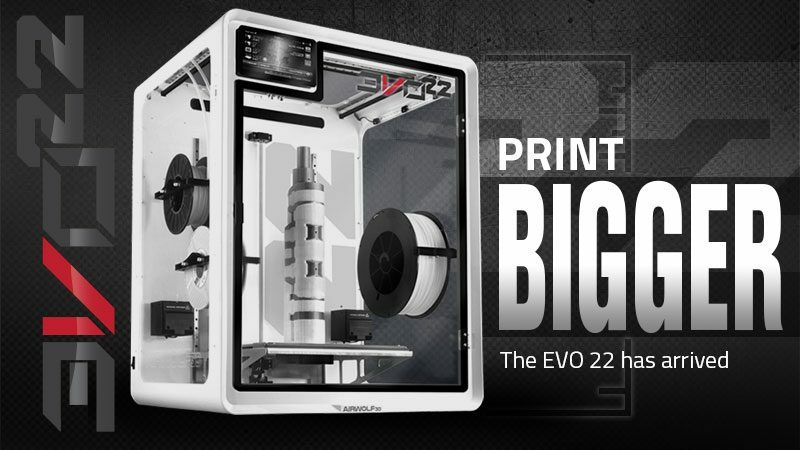 We originally released the AXIOM 20, our large format 3D printer, fully loaded. It’s a high-performance, big desktop 3D printer and we knew most AXIOM 20 customers desired all the bells and whistles, including dual-head printing. 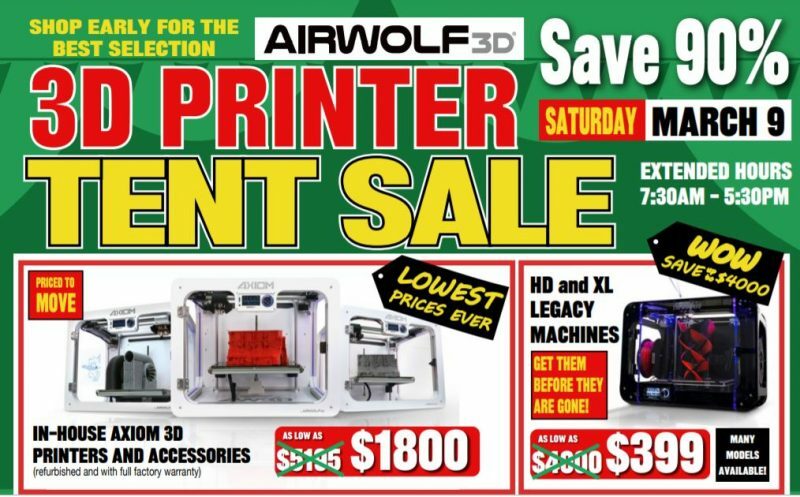 At Airwolf 3D, we also understand that not all printers are a perfect fit for everyone. So due to popular demand, we are now excited to announce the release of the AXIOM 20 Single. Outfitted with all the same technology that makes the AXIOM 20 the top big desktop 3D printer for industrial applications, the new AXIOM 20 Single simply has one hot end on its print head instead of two. but with a single head. 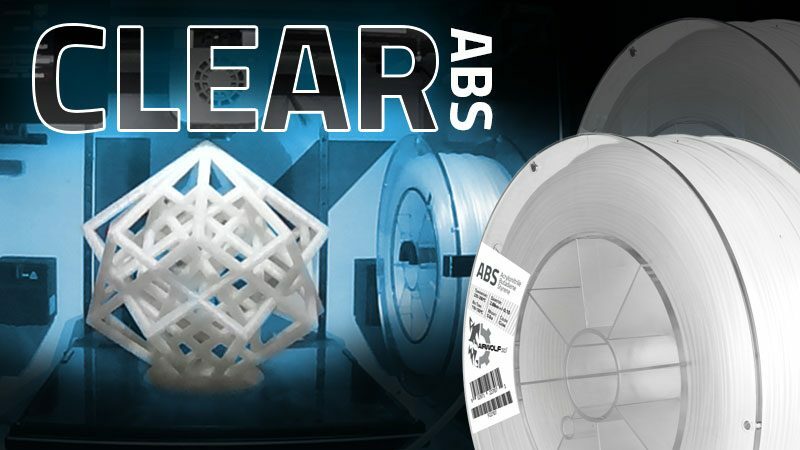 The AXIOM 20 Single is the perfect choice of 3D printer when you want to take advantage of the huge build volume of the AXIOM 20, but do not need dissolvable support, dual-color or multi-material printing. Why pay for two print heads when you only need one? 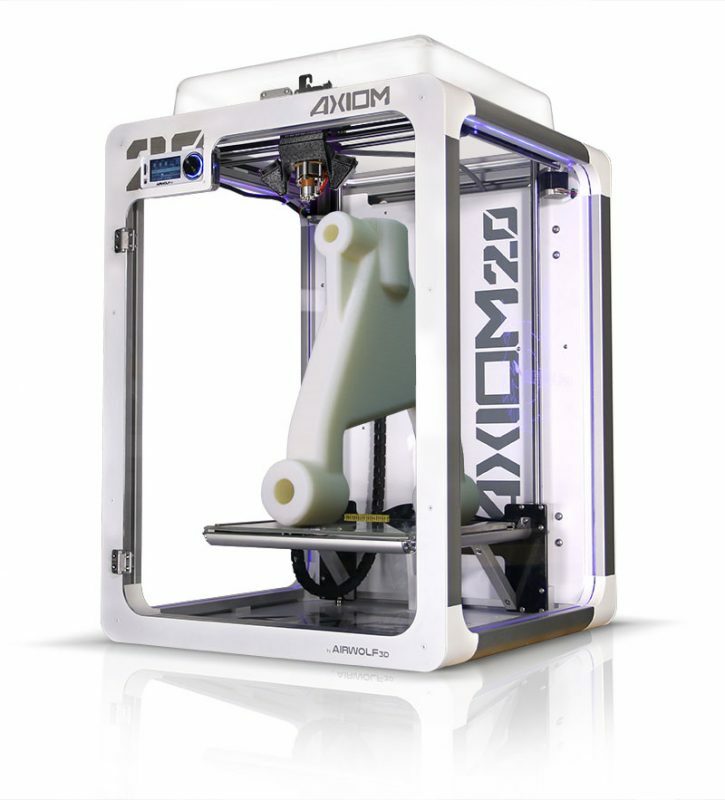 What makes the AXIOM 20 the top 3D printer for industrial applications? Put simply, the AXIOM 20 is capable of printing huge prototypes and functional parts in engineering-grade materials like ABS, polycarbonate, polypropylene, TPE, and TPU. How were we able to achieve the feat of providing this technology at a price point UNDER $30,000? The secret is that we combined the AXIOM Series’ already-existing signature suite of features with upgraded, ruggedized construction. Massive build volume. With a build volume of 12.5 inches wide, 12 inches deep and 20 inches high, the AXIOM 20 is the largest desktop 3D printer on the market. More Materials Than Any Other Desktop 3D Printer. Master your materials with a proprietary high-temperature, jam-resistant hot end. Whether you want to print in high-temperature ABS, polycarbonate, and polypropylene or in flexible materials like TPE and TPU, the AXIOM 20’s hot end easily handles even the most difficult materials and delivers perfect prints. Patented Enclosed Build Chamber. 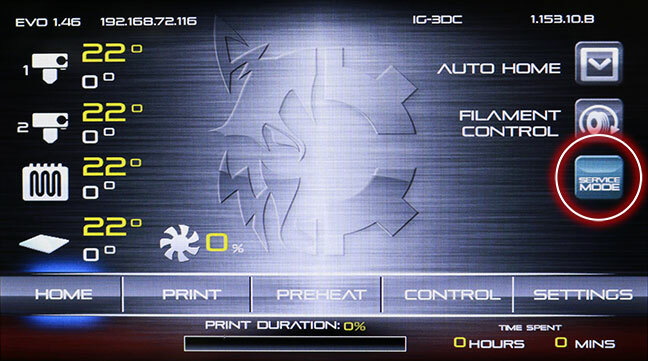 Printing large-size parts in high-temperature materials absolutely demands effective ambient temperature management. 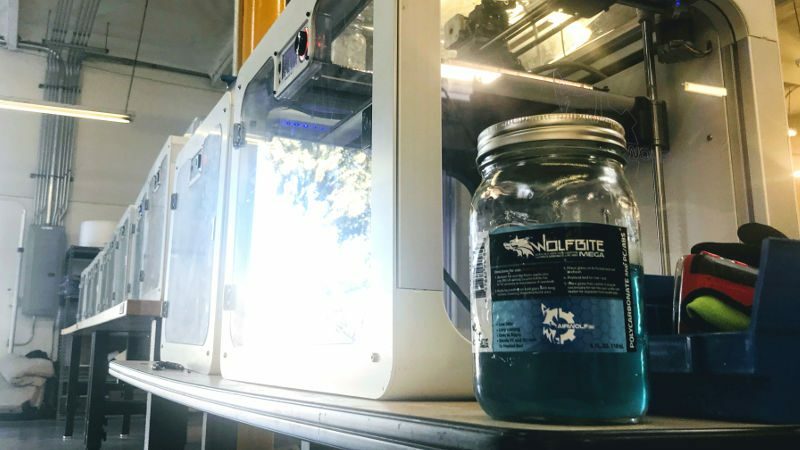 The AXIOM 20’s enclosed build chamber ensures that parts stay properly heated while printing — a process crucial to proper layer bonding and print integrity. Ruggedized Construction. 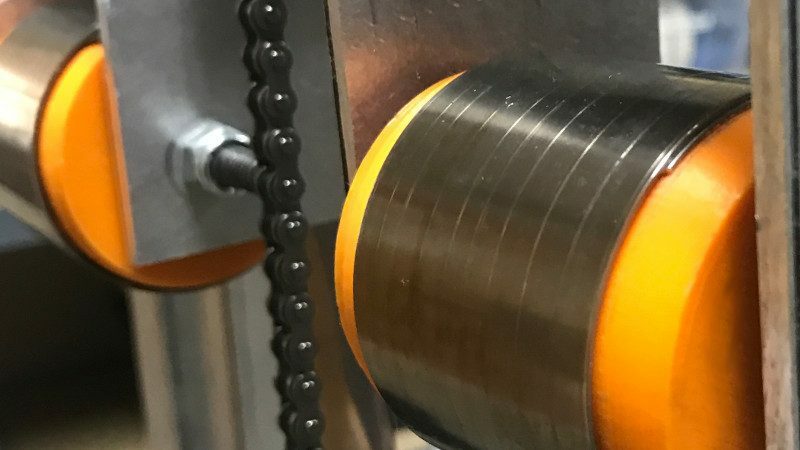 All-aluminum and steel components take a beating and still support even the most rigorous applications while ball screw construction delivers superior accuracy and precision. 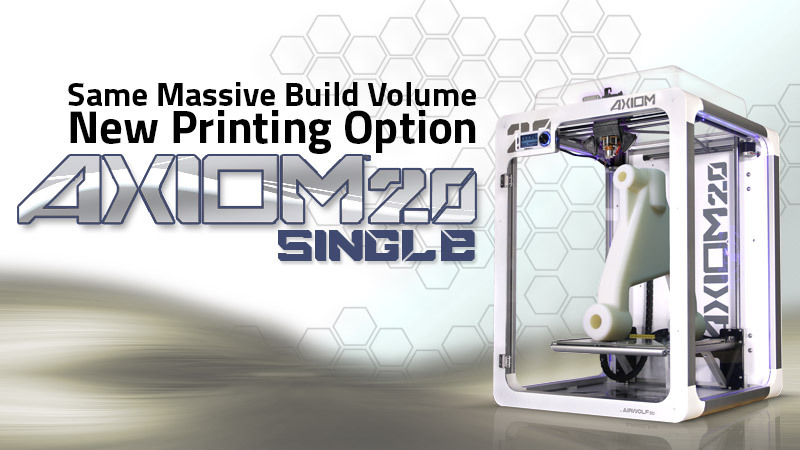 Unleash the power of large-format industrial desktop 3D printing and choose AXIOM 20 Single. 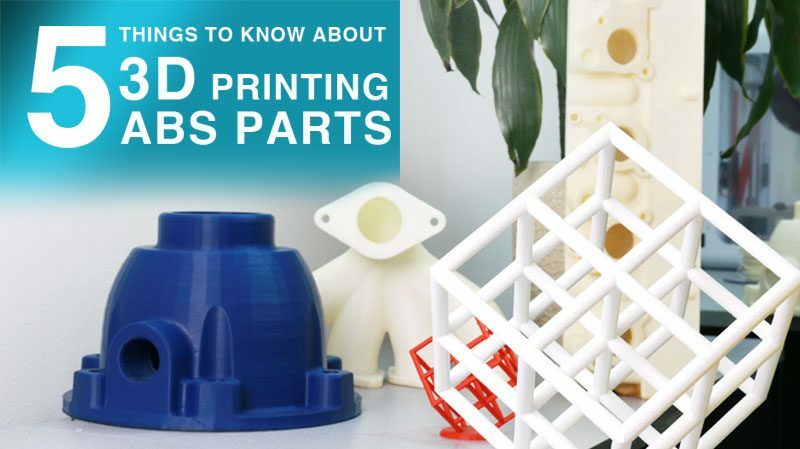 Have questions about the best desktop 3D printer for industrial applications? Simply give us a call at (949)478-2933, send us an email at info@airwolf3d.com, or contact us here. 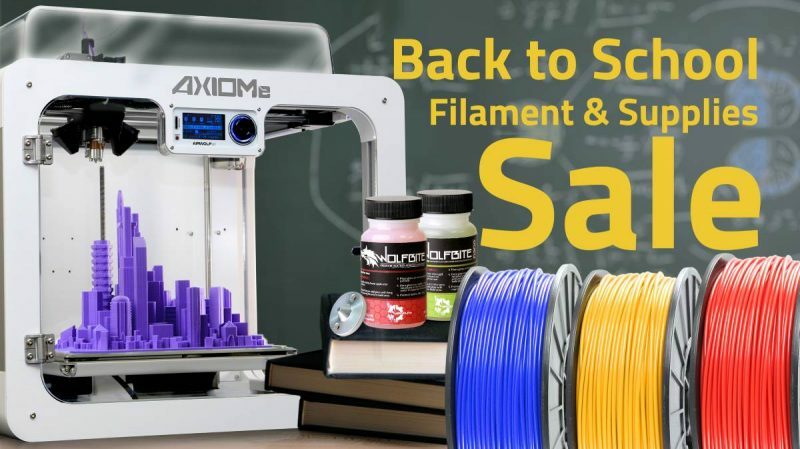 Black Friday 3D Printer Sale Starts NOW: Shop Amazing New Specials on AXIOM Printers!